Herefordshire Ramblers01432 264374work Walking RouteHerefordshire Ramblers is part of the national charity The Ramblers and we have over 500 members in Herefordshire. 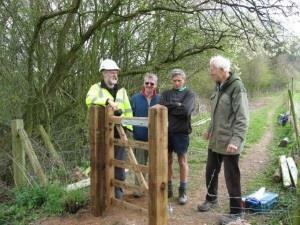 Herefordshire Ramblers lead a wide selection of walks from two miles to 20 across the county and beyond. There are several walks each weekend and some weekday walks too. But we are much more than a walking group: we are a major campaigning organisation that represents the interests of walkers in the county.